Fantastic find! I don't have this. I never even saw it in my LD collecting days. Mart, I love the way you're still mixing up laserdisc and DVD/Blu, very cool... This is as good a time as any to ask about the title of this blog. 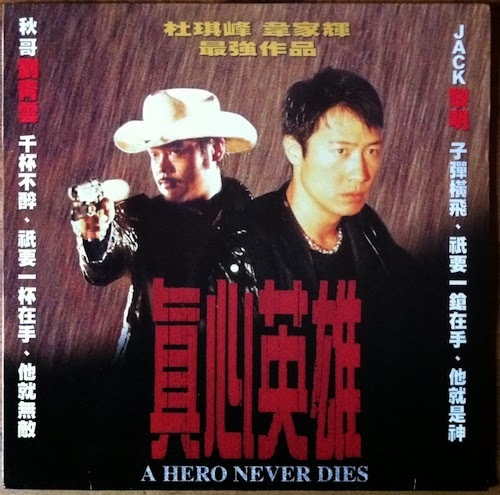 Being a HK Cinema novice, A Hero Never Dies is first and foremost the name of this blog. 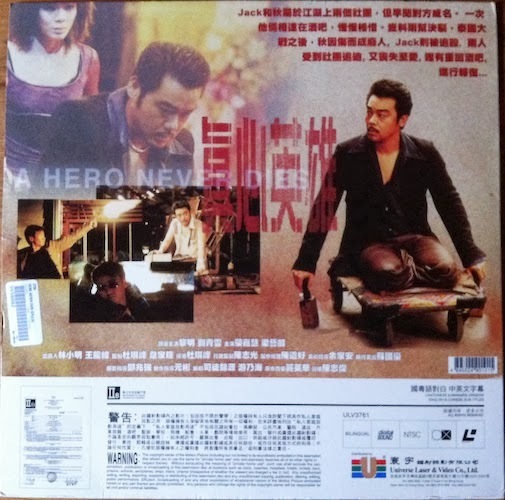 But it also happens to be a Johnnie To film as I later discovered ! Seriously though, had you ever considered any other titles for the blog ? I made my one up in the space of 5mins and before I knew it I was launched into cyberspace with one of the dumbest blog titles around - the stupid thing is impossible to spell ! 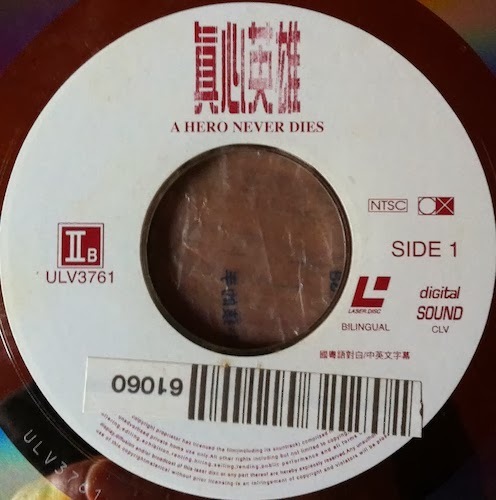 Thanks Phantom, pretty sure it must have been one of the last discs released in HK. Almost everyone would have been onto dvd by the time it was released, including me. 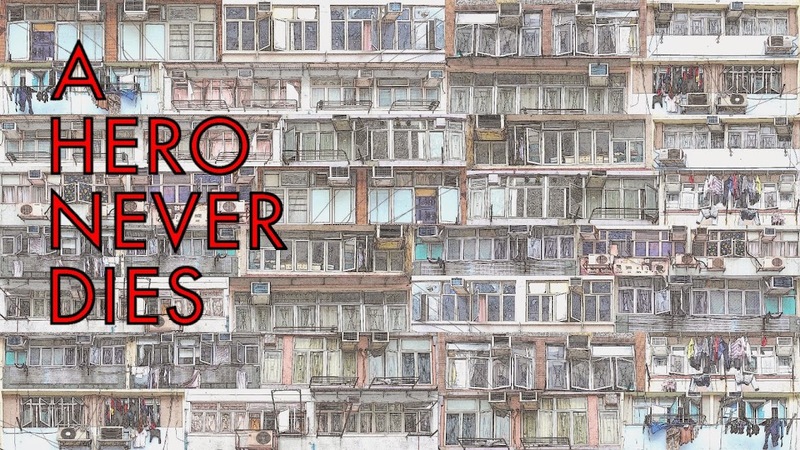 Wes, I'd spent ages trying to come up with a name, when it popped into my head to use the title of one of my favourite movies, which not only sounds cool, but is also a comment on HK genre cinema. Once I had the name I was ready to go. It's also easy to spell! Oddly enough, when i was coming up with a name for my blog, A Hero Never Dies was something that popped in my head. I did a quick google search to find out it's been taken by you good sir. And a good find the blog was too.